I posted the above quote to a forum recently and got a very mixed reaction. Some people agreed with Schopenhauer and others defended patriotism and the flag as a symbol of the positive values of a country. I've blogged about patriotism before (see here) but I was, perhaps, a little harsh on the supporters of patriotism. So I'm going to take another look at the issue in a more charitable light. Let's start off with the assumption that patriotism is a good thing. As evidenced by my other patriotism blog I don't think that this is the case, but let's assume for the moment that patriotism is great; that it brings people together, inspires us to progress as a country, reminds us of all the things we should be proud of, etc, etc. If we accept that patriotism is a good thing then it should probably be promoted right? 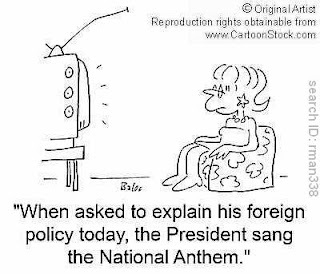 But how do we promote patriotism? - This is the important question. "I have a set of values that I have reflected upon and decided are worthy. Conveniently these values match the values of my country! I love Australian Values." "I love Australia. 'Australian Values' are a part of Australia, so I love Australian Values too"
Whilst both Person A and Person B both would call themselves patriotic they are patriotic for completely different reasons. The first person is reflective and unbiased - They have thought about what they value and then discovered that it matches that values of their country. These are the people that when you ask them why they have a flag hanging in their bedroom they can tell you all about the values that Australians tend to hold and why these values are important to them. Person B, however, is less reflective. Person B's love of Australian values comes from a general love of living in Australia. The problem is that they have not reflected on what it is that they actually value about Australia as an individual. They have fallen prey to the composition/division fallacy and assumed that because they love Australia as a whole that they love Australian values too. Or maybe they never made that assumption at all - Maybe they just bypassed the 'reflective phase' altogether. Either way this is the type of person who is likely to defend their country as being great not because of any particular values persay, but because they enjoy their life in Australia. Unfortunately without reflection it's hard to say whether it's the values of Australia that this person approves of or something completely different like, for instance, the fact that Australia is a first world country with nice beaches. You can argue as much as you like about the proportion of the 'type-A' patriots to 'type-B' patriots in Australia, but it seems that one thing is clear: If we are to promote patriotism (for whatever reason) we should be aiming to promote 'type-A' patriotism whilst steering people away from 'type-B' patriotism. It is the foundation of a successful democracy that people actually think and reflect on issues, rhetoric and conformity will likely prevail. Only type-A patriotism includes this type of reflection. So how do we do promote Type-A patriotism? The answer - compulsory education about ethics, morals, and values. In short, philosophical education as part of schooling curriculum. This gives people the best chance to make an objective (or at least 'less subjective') judgement about their country based on values rather than the influences of mob-mentality and unreflective, flag-waving drones.